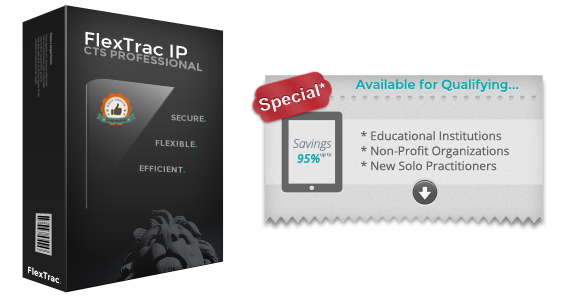 FlexTrac®, the largest provider of tailored Intellectual Property management software in North America. Since 1996, we have helped thousands of clients manage their information technology costs with a truly comprehensive suite of fully-integrated software solutions. Learn why so many IP Industry Professionals have selected FlexTrac® as their trusted technology partner. We offer the expertise of employees in five North American offices, with the in-depth knowledge and experience to understand and meet the technology needs of our clients of all sizes. There will be no “unboxing” we don't sell software, we provide end-to-end technology solutions! Our technology solutions are specifically tailored for the unique needs of our clients and leveraged as the cornerstone of their businesses. We develop ECONOMICALLY PRICED technology solutions that help our clients manage the most valuable enterprise assets - Intellectual Property! FlexTrac® offers advanced enterprise capabilities found within expensive IP Management Systems, but at a fraction of their cost! For each of our core technology solutions, FlexTrac® regularly improves system quality, as well as client and employee satisfaction, and creates or improves stable industry partnerships. Developing the best Intellectual Property management technology solutions is more than just employing experts to design the system. It means involving our clients in the process of identifying future system functionality enhancements and new product innovation. This cohesive, valuable partnership is how we design and develop the tailored technology solutions you require to get the job done. For the latest PROMOTIONS & DISCOUNTS for NEW & EXISTING Clients, contact our Sales Team at Sales@FlexTrac.com or +1.855.997.9933 ext. 109! It is impossible to effectively manage your business through multiple software products with multiple points of entry. These software products might "speak" to one another, but they likely need a translator. FlexTrac® solutions speak the same language from day one. No form, no case, not even an Outlook reminder will ever be lost in translation. FlexTrac® solutions are integrated and our CTS Embedded Modules are offered at no additional costs, they are included with your purchase of any one of our FlexTrac® IP - CTS solutions! As your needs change and your business grows, we guarantee a path from your current system to any one of our fully-supported, regularly-enhanced, mission-critical software technology solutions. This ongoing industry and system enhancement commitment makes FlexTrac® the first choice for IP Professionals seeking world-class software technology solutions and services. FlexTrac's® continuous investment in new systems and technologies, and consistently successful implementations, helps our clients reduce errors, save money, and improve productivity. Unparalleled, innovative technology software solutions! Contact our Sales Team at +1.855.997.9933 ext.109 today, for a demonstration or additional information on any one of our continuously enhanced capabilities. - 24/7 Online Service Tools "Client Care Center"
- Complimentary Training Sessions "Best Practices"
U.S. Patent applications, PCT applications, Foreign Patent applications, U.S. Trademark applications, Madrid Protocol Trademark applications, U.S. Trademark Opposition/Cancellation cases, State Trademark applications, Foreign Trademark applications, Copyright applications, Trade Secret cases, Licensing cases, Invention Disclosures, Outside Counsel, Case Costs, Inventor Awards & General cases. 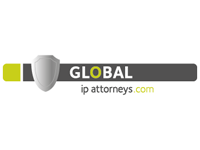 Most suitable for an Intellectual Property Law Firm or the IP Department of a general practice Law Firm. U.S. Patent applications, PCT applications, Foreign Patent applications, U.S. Trademark applications, Madrid Protocol Trademark applications, U.S. Trademark Opposition/Cancellation cases, State Trademark applications, Foreign Trademark applications, Copyright applications, Trade Secret cases, Licensing cases, & General cases. Most suitable for a solo IP Agent/Attorney managing either patents, trademarks, or other IP assets. U.S. Patent applications, PCT applications, Foreign Patent applications, U.S. Trademark applications, Madrid Protocol Trademark applications, U.S. Trademark Opposition/Cancellation cases, State Trademark applications, Foreign Trademark applications, or Others, pending selection. 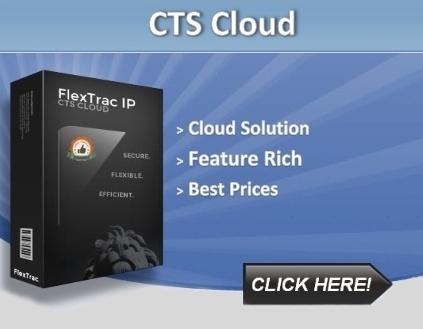 FlexTrac® IP - CTS Cloud Subscription based! Available to NEW or EXISTING FlexTrac® Clients! Most suitable for a virtual Intellectual Property Law Firm or the virtual IP Department of a general practice Law Firm. 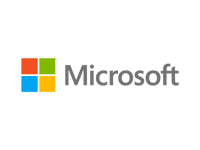 - Office files, right at your fingertips! - Administer CTS reminders from your favorite email program! 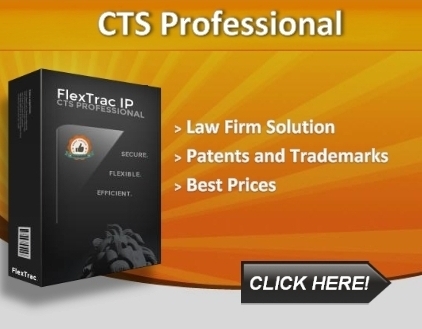 - Automated backup for your FlexTrac® IP - CTS database! 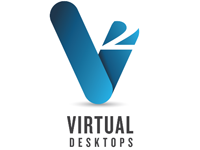 No up-front investment - no software to install, and no website or server to maintain Manage your virtual marks from anywhere you have internet access What is "virtual patent marking"? Insight into our unparalleled services. FlexTrac® has the flexibility to deliver unique services quickly and cost-effectively. Our team will deliver unmatched insight through market analyses and follow through with implementation. Our vast expertise within Web Development, Online Marketing, Managed IT, Virtual Administration and Branding & Printing enables us to successfully satisfy the most complex and demanding client requirements. With FlexTrac's® Managed Docketing services, our Clients reduce expenses by over 50% annually. By employing our trusted, industry IP Docketing experts, we offer precise, transparent docketing of numerous matter types - an industry leading standard! Website is a mission-critical application that needs to act like a Sales Center. Let prospective clients experience and desire your services through the right content, then capitalize on that emotion by connecting immediately with them. Let us show you how. Whether you’re a large or small business wishing to promote a service, generate leads, or simply increase brand awareness, we’ll customize a campaign with your objectives in mind. We’ve got the in-house talent to improve your organic rankings. FlexTrac® delivers Managed IT support that keeps your network up and running, and your business operating smoothly. From maintaining your network infrastructure, to delivering software updates and managing security we deliver the best-practice! An unmatched, service focused professional at a fraction of the cost! Convey a professional image with our virtual receptionist, while offering your clients a personal touch. Your clients will always speak to a live person. Our vast array of in-house design, print and finishing capabilities provide specialized, high-end capabilities to enhance your corporate brand. We stand out from the crowd with our ability to produce the best results, on-time and budget. As an innovative technology company, since 1996 FlexTrac® - Powered by TORViC Technologies, Inc. is helping IP Professionals grow with Intellectual Property management technology solutions and professional services, and run their business from docket management to client administration. 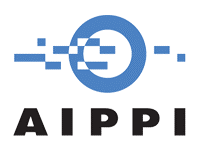 FlexTrac® offers technology and services designed specifically for the IP Industry. At FlexTrac®, we believe that innovation is the leading driver for achieving maximum sustainable business profitability, and we support this via our strategic focus on IP Industry investments. Client satisfaction is our success. As a mid-size Intellectual Property law firm, FlexTrac® IP - CTS has served us very well for over twelve years for managing our docket. It is easy to use and we are able to customize it to fit specific in-house and client needs. The support team is amazing and always available to assist when necessary. They are also open to suggestions for improvement and have implemented ideas I have presented. Their dedication has contributed to our success. Thank you, FlexTrac®! We have been using the FlexTrac® IP - CTS since May of 2010 and are extremely satisfied. The program and support are second to none and we would urge any firms looking for intellectual property management software to give FlexTrac® a call. As a small company we need to keep tight control of costs, but as a biotech company much of our value is defined by our patent protection. The FlexTrac® software package has allowed us to monitor our patent and trademark portfolio docket such that we can handle most matters in-house, and only go to outside counsel for specific needs. The FlexTrac® system lets us control costs while maintaining a vigorous IP portfolio to protect our company’s value and satisfy the expectations of our investors. 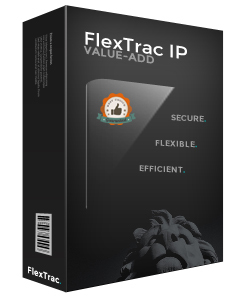 I have used FlexTrac® products in my private IP practice for many years now and have found their features not only easy to use but extremely helpful in managing Patent Office and client matters. 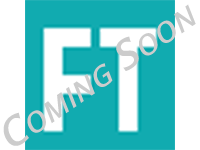 FlexTrac's® timely updates have kept abreast of changes in practice rules and have added improved features for making it easier to deal with the complexities of docket and client management by providing comprehensive reporting capability and the ability to customize individual routine documents, both real time savers. Support has always been first rate and readily available. And importantly, FlexTrac's® products have always been very reasonably priced. I can highly recommend them. As a boutique law firm providing trademark and copyright protection and enforcement, FlexTrac® has been the perfect solution for our docketing needs. The software is thorough and provides the same benefits found in more expensive software designed for the mega firms. FlexTrac's® customer support personnel are very attentive and do not waste your time when needing their assistance - although we have rarely needed their assistance in 10+ years of using FlexTrac®. I always recommend FlexTrac® to my colleagues at other firms. 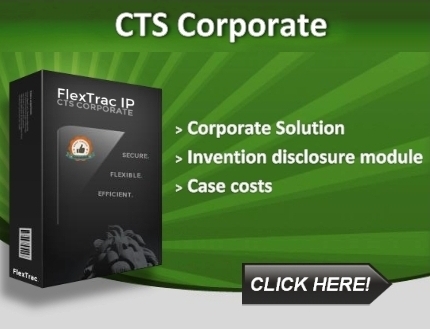 FlexTrac® has been the perfect docketing solution for our small patent and trademark office. The software provides the same thoroughness and benefits found in large, expensive docketing packages meant for large patent and trademark firms, without the investment in up-front costs and costly monthly expenses. 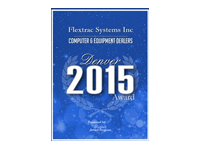 Most of all, we are impressed and delighted with FlexTrac’s® customer support personnel. 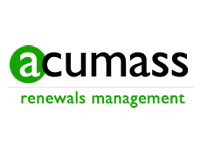 Their experience in the industry and personalized support enabled us to quickly transfer our docketing system and personalize the software to fit our internal office procedures and requirements. 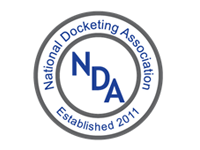 Whenever we call they recognize us by first name, and are instantly familiar with our firm and its docketing needs. We would not hesitate to recommend FlexTrac® to other firms. FlexTrac® has proven to be a very useful tool in organizing and tracking trademark matters. Unfortunately I haven’t been able to utilize its patent interface as much, as another paralegal utilizes that component, but I am sure that it is thorough to the same degree. Being that this was the first time I have ever used software to docket intellectual property matters, I found FlexTrac® resourceful, informative, and meticulous. If ever you need any help, there is a “help” icon on the interface, and the FlexTrac® Team that has always been responsive to any issues, technical or otherwise. I would highly recommend FlexTrac® to professionals looking to ensure that they stay on top of their deadlines. Thanks! 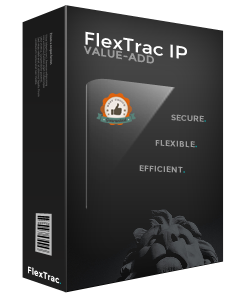 We have been using the FlexTrac® IP - CTS for over 8 years and have found the software to be a great fit for our boutique IP practice. Especially helpful is the level of customization we are able to incorporate into the software, which allows us to provide specialized reports to our clients. Alan W YoungYoung Law Firm, P.C. I am a patent and trademark attorney in private practice and have been a FlexTrac® customer for well over 10 years. My clients include multinational corporations, mid-size companies and start-ups. FlexTrac® IP - CTS enables me to accurately track hundreds of cases and to generate polished and professional-looking forms and reports with ease. For example, my clients appreciate the CTS-generated PCT timeline graph that I regularly include as part of my PCT filing reporting letters. The auto-generated reminders and tasks are a great resource in term of time, peace of mind and effort. The FlexTrac® IP - CTS platform is ultra-stable, intuitive and fast. 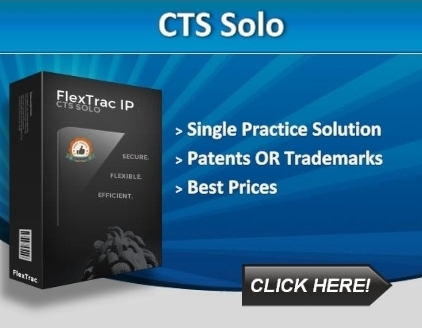 I would recommend FlexTrac® IP - CTS for any busy IP practice, without reservations. FlexTrac® Client Care Center is with you every step of the way. The industry's most comprehensive client care center program delivers systems support, technical expertise and innovative self-service tools 24 hours a day, seven days a week. As our valued client, FlexTrac's® world-class Client Care Center is always available whenever you need help. You will talk to real people within seconds of dialing our toll-free client service number. FlexTrac's® industry most comprehensive client care center program delivers systems support, technical expertise and innovative self-service tools 24 hours a day, seven days a week. As our valued client, FlexTrac's® world-class Client Care Center is always available whenever you need help. You will talk to real people within seconds of dialing our toll-free client service number. A high priority at FlexTrac® is to hire well-trained, knowledgeable, courteous, and professional staff to help make our technology solutions reliable and easy-to-use. FlexTrac's® Client Care Center enables your employees to focus on being productive at their jobs instead of trying to figure out how to use the system. Our Professional Services team is at your service when you need assistance with your technology solution. We will help set up your system and ensure that your organization utilizes it to its full potential, and then we’ll continue to ensure that you’re up to date with enhancements. We can provide this training in the comfort of your office, or via online meeting. Tell us about your business needs, and a FlexTrac® expert will contact you shortly. Powered by TORViC Technologies, Inc.
FlexTrac® collects personally identifiable information, such as your name, address, telephone number, or e-mail address, when you provide this information to us voluntarily through this site, email or other direct contact with us. We will not sell or rent this information to anyone. Further, we will not disclose your personally identifiable information unless required to do so by law or in the good faith belief that such action is necessary to (1) conform to the edicts of the law, (2) protect and defend the rights or property of FlexTrac®, or (3) as part of a transfer of assets to a successor in interest. FlexTrac® may use this information to send you marketing materials, and other information unless you notify us that you do not want to receive these materials. While browsing the FlexTrac® Web site, you may be able to access the Web sites of other organizations through a hyperlink. FlexTrac® assumes no responsibility for the privacy practices of other organizations' Web sites and suggests you review the privacy statements/policies on such Web sites before sharing your personally identifiable data. If you do not wish to receive information from FlexTrac®, you may notify us by sending an e-mail to Info@FlexTrac.com or by calling us at the telephone number provided at the top of this site. please provide us with your exact name and address as well as a description of the information you received. we will use reasonable efforts to refrain from including you when sending marketing materials by noting your election in our database. FlexTrac® will permit you to access information about you in our database by contacting Info@FlexTrac.com. If you believe any of the information is incorrect or needs updating, please advise us. We will correct our records upon verification of the requested change. FlexTrac® will take reasonable and prudent precautions to ensure that your personally identifiable data is protected against unauthorized access, use, or disclosure.